Rumors of a Sour Patch Kids-flavored cereal have been making the rounds on social media for a few months. 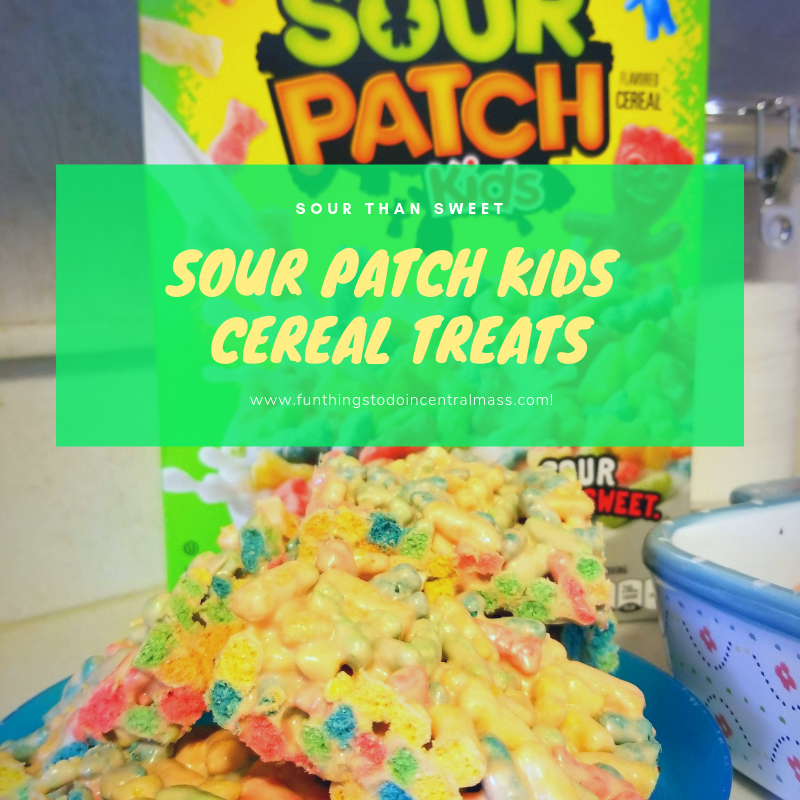 We were lucky enough to get our hands on a box on Sour Patch Kids cereal before the official release and whipped up these sour then sweet cereal treats! Post’s Sour Patch Kids cereal will be available starting Dec. 26, 2018 exclusively at Walmart stores across the country. One box will set you back about $4.00. The cereal will be available at other retailers across the country starting in June of 2019. 4 cups Great Value Miniature Marshmallows Fruity Flavors – You can use regular mini marshmallows if you prefer. Stir 4 cups of marshmallows and 3 tablespoons of butter over low heat until melted. Pour the melted marshmallows over 6 cups of the Sour Patch Kids cereal. We hope you enjoy these sour then sweet cereal treats!